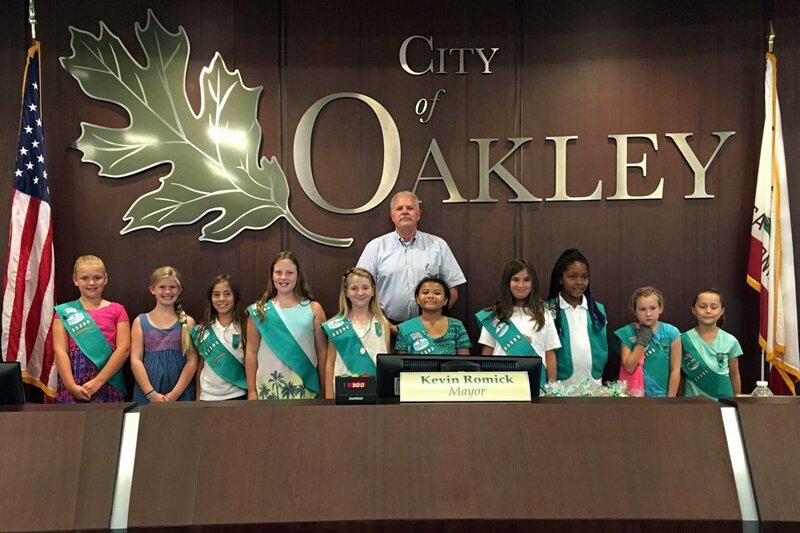 The Girl Scouts of Northern California, Troop 33390 visited Oakley’s City Hall to meet with Mayor Kevin Romick to earn their Respect Authority badge. They also got a photo opportunity to show off their official sash. At Oakley Self Storage we understand that the young women in our community will someday become leaders and mentors themselves. Girl Scouts of Northern California continually works to provide opportunities for girls to grow their strengths, passions, and talents with programs and activities that range from teaching STEM concepts, to team building, graphic design, and outdoor cooking. Girl Scouts came to California in 1917, and now one hundred years later, they’re a foundation of our community. It is essential for youth to be physically active and mentally prepared for their future. Being a part of this troop is an incredible achievement and we will continue to support them in the future. Oakley Self Storage is more than proud to support the Girl Scouts of America’s mission and accomplishments locally and nationwide.